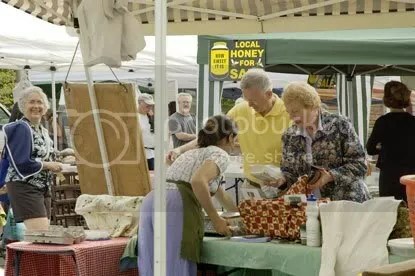 I like small farmers’ markets better than the larger, more well-known ones, which are gradually being invaded by sellers of kitschy crafts and designer coffee. 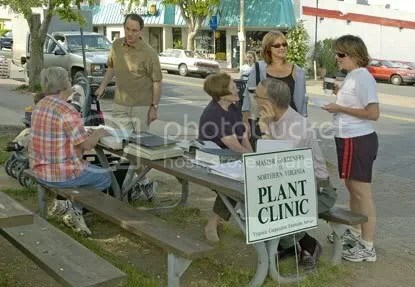 At the Del Ray Farmers’ market, close to where I live, volunteers from the Virginia Master Gardener Association offer free advice on all manner of plant-related issues. You are currently browsing the blog archives for the day Saturday, May 6th, 2006.